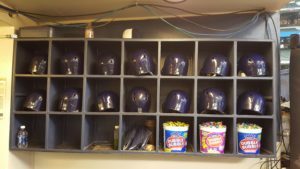 The Milwaukee Brewers made a series of roster moves today. The biggest of which came when they sent shortstop Orlando Arcia to Triple-A Colorado Springs. Arcia has been mired in a season-long offensive slump, hitting .194 with two home runs and 13 RBI. In 139 at bats, Arcia has 34 strikeouts and only seven walks. The Brewers also sent right-handed pitcher Jorge Lopez to AAA Colorado Springs. 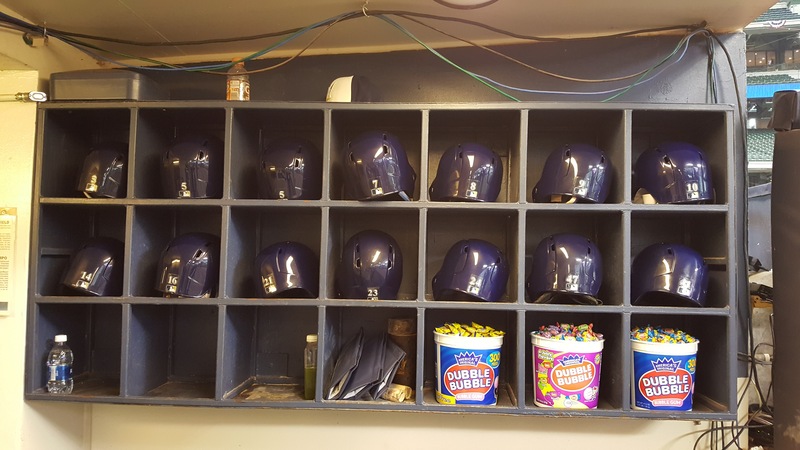 They recalled infielder Eric Sogard from Colorado Springs and right-handed pitcher Adrian Houser from AA Biloxi. The Brewers also made a trade, acquiring minor league catcher Erik Kratz from the New York Yankees for a player to be named or cash. Kratz was hitting .269 in 17 games with AAA Scranton/Wilkes-Barre. He had four home runs and six RBI. To make room for Kratz, the Brewers designated catcher Jett Bandy for assignment. The Milwaukee Brewers completed a three-game sweep of the Cincinnati Reds with a 3-1 win at Great American Ball Park on Wednesday night. Christian Yelich clubbed a solo home run in the fifth to put the Brewers in the lead for good. Orlando Arcia added two hits and a RBI, while pitcher Wade Miley made his Brewers debut on the mound, allowing a single run in six innings of work for the win. Lorenzo Cain, Ryan Braun and Orlando Arcia all clubbed home runs, leading the Milwaukee Brewers to a 12-3 win over the Miami Marlins on Thursday night at Miller Park. 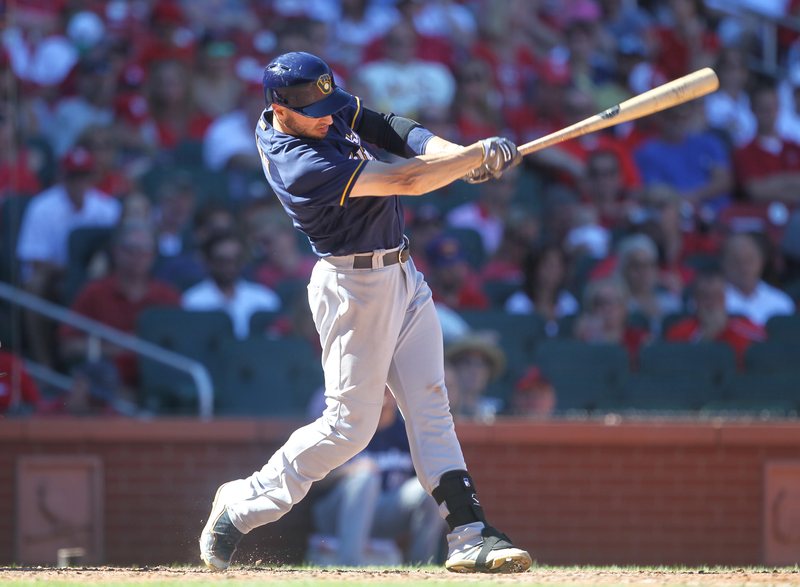 Braun’s pinch-hit, three-run blast highlighted a seven-run sixth inning. It helped him reach the 1,000 career RBI milestone. 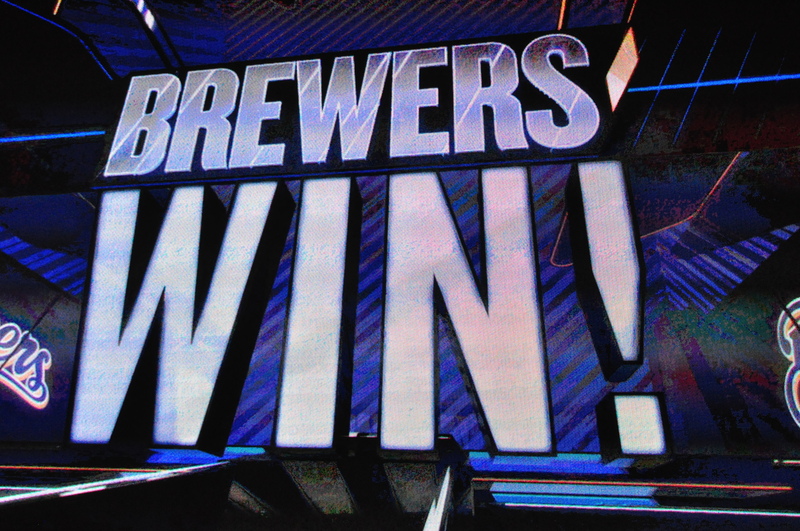 Jesus Aguilar added three hits, three RBI and scored a pair of runs for the Brewers, who have won three in-a-row to improve to 11-0 on the season. Aguilar improved his average to .414 for the season. 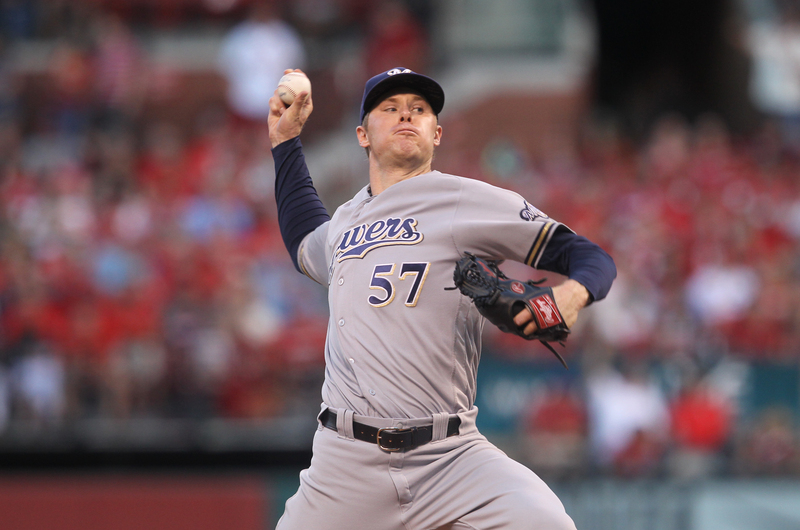 Chase Anderson went 5 1/3 innings, allowing five hits and three runs to earn his second win (2-1) of the season. All three Miami runs came on a pair of Lewis Brinson home runs to center field. The Brewers outhit the Marlins 13-5. Game two of the series is tonight at Miller Park. Jhoulys Chacin (0-1, 5.60) pitches for the Brewers. Trevor Richards (0-1, 4.70) gets the nod for Miami. 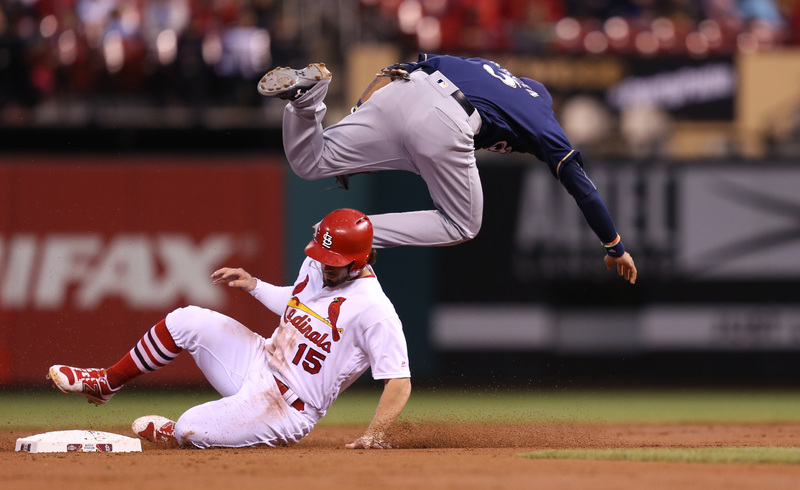 For the second night in a row, the Brewers and Cardinals needed extra innings to decide the outcome. On Tuesday night, it was Matt Carpenter clubbing a two-run home run in the bottom of the 11th inning to beat the Brewers 5-3 in St. Louis. 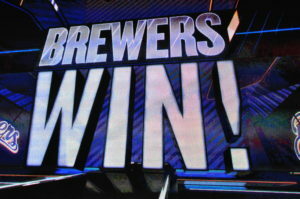 Twice, the Brewers had late leads but couldn’t hold them. 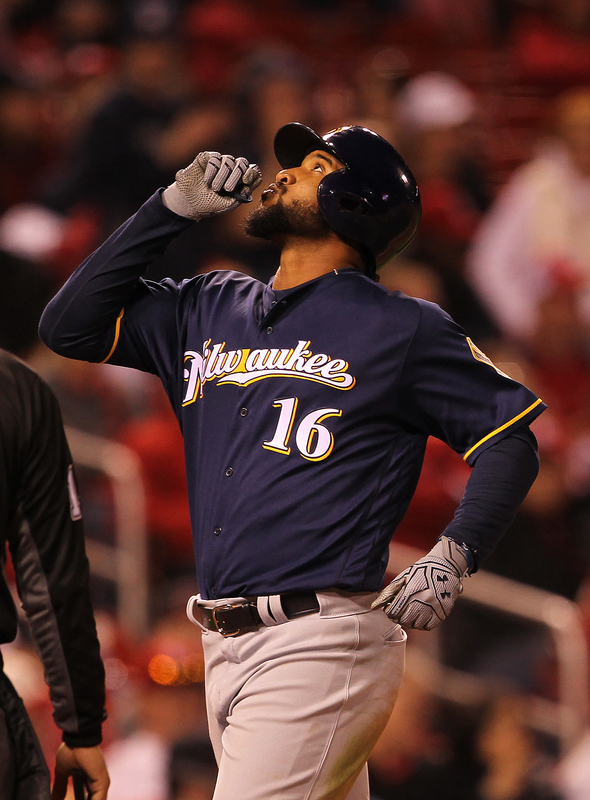 Domingo Santana singled home Eric Thames to give Milwaukee a 2-1 lead in the ninth inning, only to see Tommy Pham score from second on a pair of wild pitches by Jacob Barnes to tie the game 2-2. Shortstop Orlando Arcia singled to right against a five-man infield to lift the Milwaukee Brewers to a 5-4 win over the Chicago Cubs on Friday night at Miller Park. The Brewers have now won four games in their final at-bat this season. Travis Shaw, who homered for the first time this season in the Brewers four-run fifth inning, said the ninth inning is their inning. Brandon Woodruff made it through just 3 2/3 innings because of a high pitch count, so the Brewers bullpen was again called on for extra duty and they came through. Josh Hader, Jeremy Jeffress and Matt Albers took it the rest of the way to preserve the Brewers victory. Orlando Arcia singled in the go-ahead run in the top of the 12th inning as the Milwaukee Brewers knocked off the San Diego Padres 2-1 in 12 innings on opening day at Petco Park. Newcomer Christian Yelich drove in the Brewers other run and Lorenzo Cain went 3-for-5 in his debut. Still feeling the effects of the flu, Chase Anderson allowed just one hit over six scoreless innings. Jeremy Jeffress earned the win with two scoreless innings of relief. Jeffress had to pitch out of a 1-out, bases loaded jam in the 11th. Jacob Barnes, who struggled all spring, struck out all three batters he faced in the 12th to earn the save. The Brewers hit into a pair of hard hit double plays, then struggled to get to the Padres pitching staff for most of the remainder of the game. San Diego starter Clayton Richard tossed seven innings of one-run ball in a no-decision. The loss went to Adam Cimber for the Padres. The Milwaukee Brewers jumped out to an early lead, then found themselves hanging on for a tight 7-6 win over the Cincinnati Reds at Miller Park on Tuesday night. The Reds scored four runs in the final innings before Brewers closer Corey Knebel slammed the door in the 9th with his 38th save of the season. Domingo Santana gave the Brewers the early lead with a three-run home run in the first inning, his 29th of the season. Stephen Vogt also notched the first of three doubles and scored on a Orlando Arcia single to give the Brewers a quick 4-0 lead. Cincinnati’s Scott Schebler clubbed a two-run home run in the second to cut the lead to 4-2, but the Reds gave those two runs back in the third when Scooter Gennett’s throwing error scored a pair of runs. It put the Brewers back up 6-2. Zach Davies, who wasn’t sharp at all, made it through just four innings. 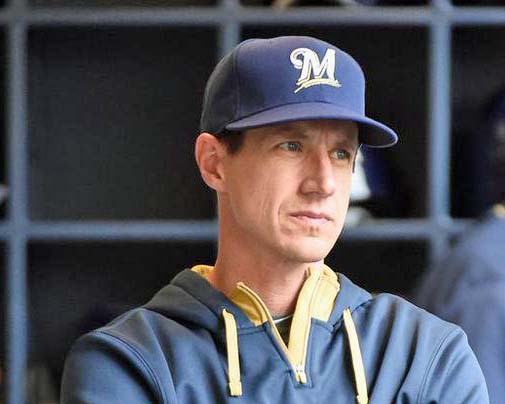 When the Reds put the first two runners on base in the fifth, manager Craig Counsell went to the bullpen and Davies bid for his 18th win would fall short. For the second straight game, the Milwaukee Brewers let a late lead get away, resulting in 5-3 loss to the Chicago Cubs in 10 innings. With emergency closer Jeremy Jeffress on in the ninth, trying to protect a 3-2 lead, Ian Happ rolled a ground ball to first and beat Jeffress to the bag for an infield hit. He eventually scored on Javier Baez’ base hit to tie the game 3-3. The Brewers loaded the bases in the bottom of the ninth with one out. The Cubs went to a five-man infield and closer Wade Davis struck out Domingo Santana. With two outs and the Cubs defense back to normal, Orlando Arcia then grounded out to Davis and the game went to extra innings. The Milwaukee Brewers got home runs from Ryan Braun and Orlando Arcia to forge a 4-4 tie with momentum on their side. But Cincinnati leadoff hitter Billy Hamilton clubbed a two-out home run in the ninth inning off of rookie left-hander Josh Hader, giving the Reds a 5-4 walk-off victory. Hamilton’s game winner came off of Brewers rookie reliever Josh Hader, who also allowed Washington to score twice in the eighth inning on Saturday in a 3-2 Nationals victory at Miller Park. Hader, who primarily throws fastballs, got beat with his best pitch as Hamilton jumped on an inside corner fastball for his first home run from the right side of the plate. Braun’s home run for the Brewers was his first since August 12. After Travis Shaw and Domingo Santana singled, Arcia ripped a hanging slider for a three-run homer to tie the game. Chase Anderson got the start for the Brewers but was knocked out of the game in the 6th after Tucker Barnhart’s two-run double made it 4-0 Cincinnati with one out in the sixth.